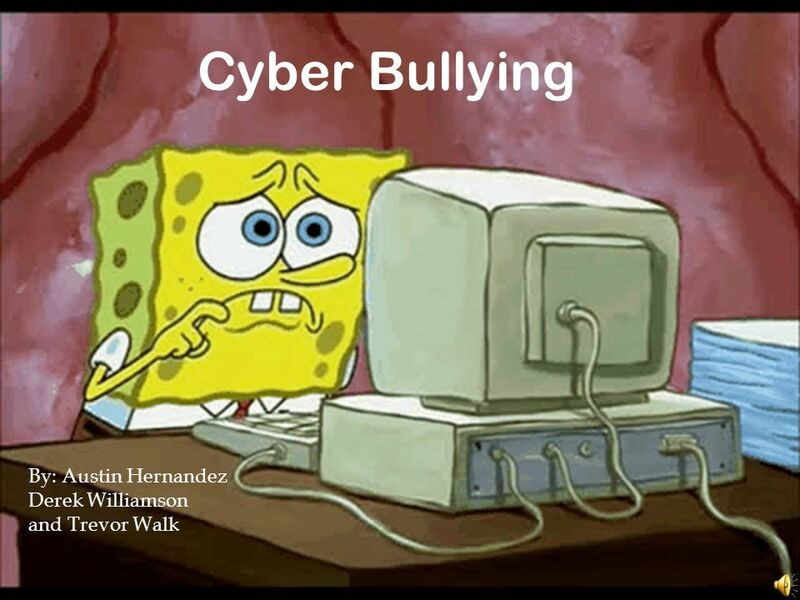 Cyber Bullying By: Austin Hernandez Derek Williamson and Trevor Walk. 3 Yes VERY scary! 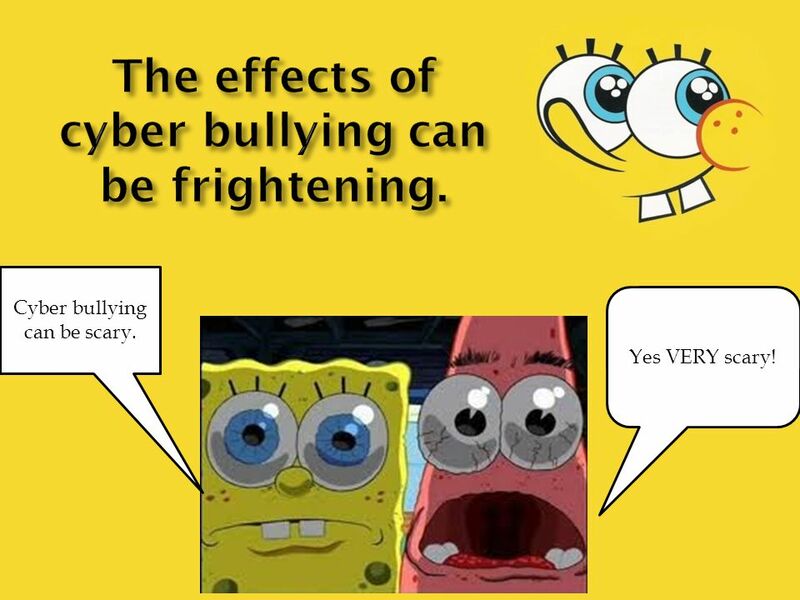 Cyber bullying can be scary. 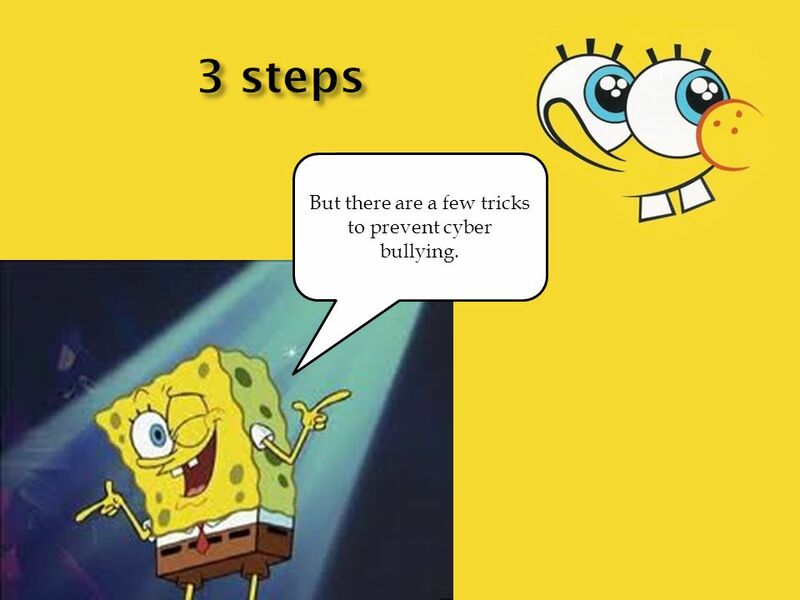 4 But there are a few tricks to prevent cyber bullying. 5 STOP! o Don’t do anything. 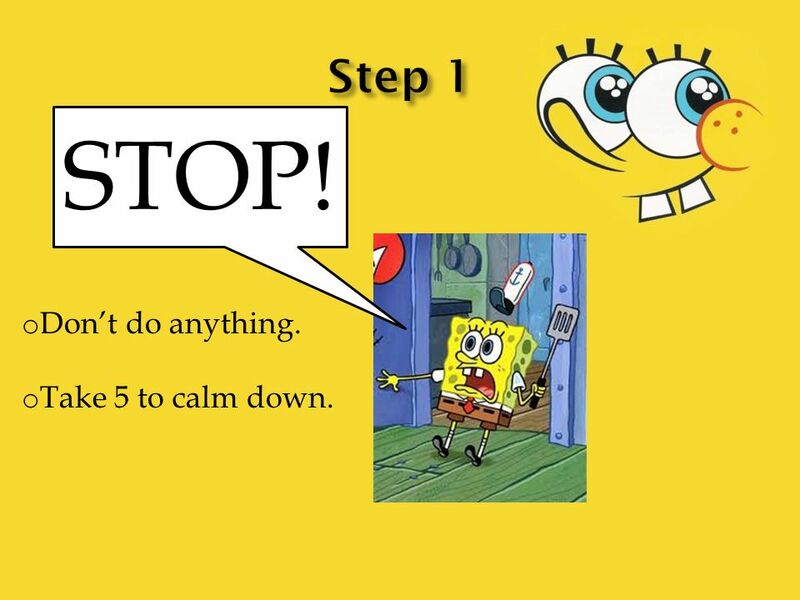 o Take 5 to calm down. 6 BLOCK! 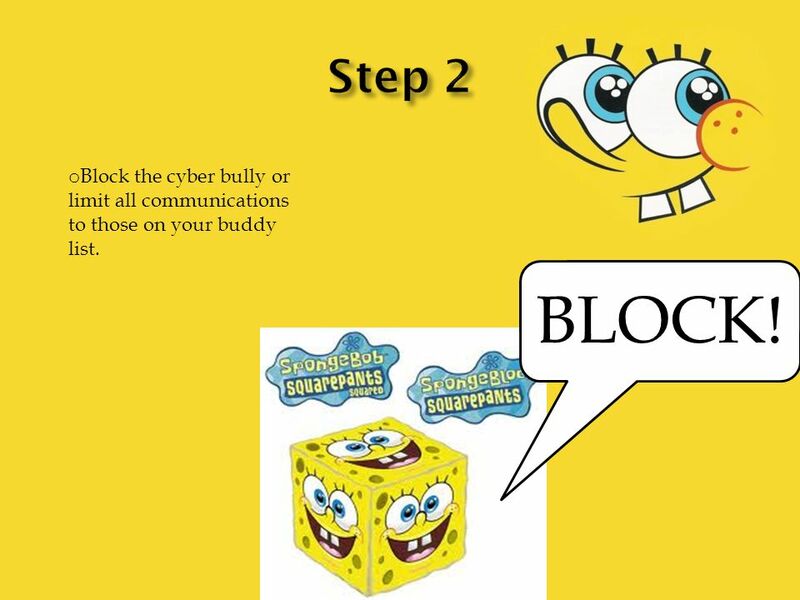 o Block the cyber bully or limit all communications to those on your buddy list. 7 TELL! 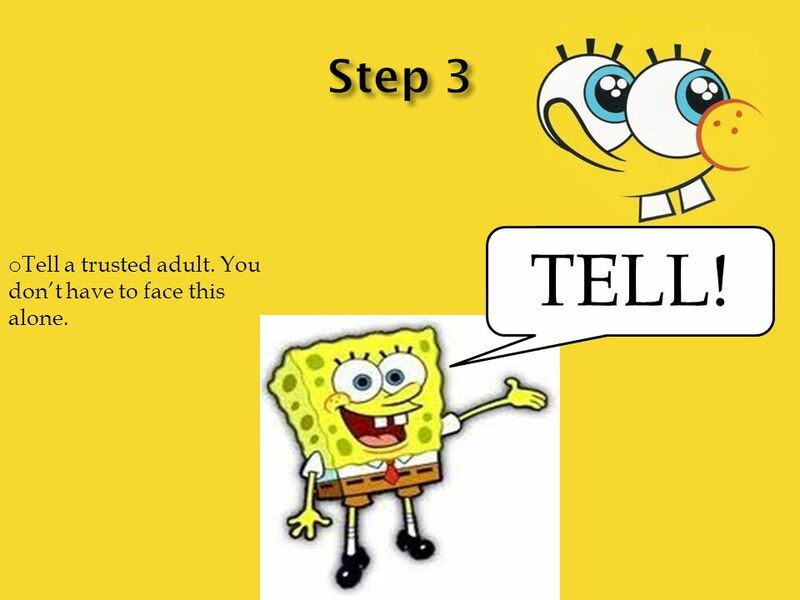 o Tell a trusted adult. You don’t have to face this alone. 9 You’re right! 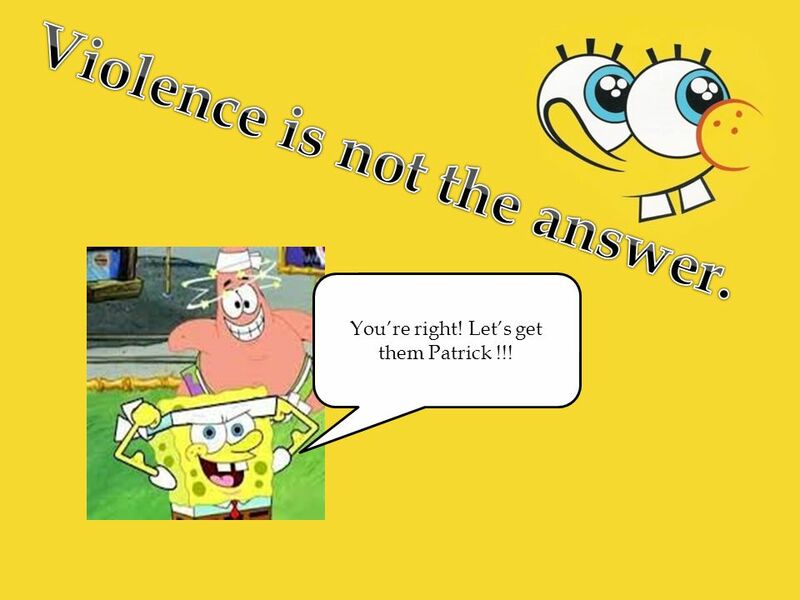 Let’s get them Patrick !!! 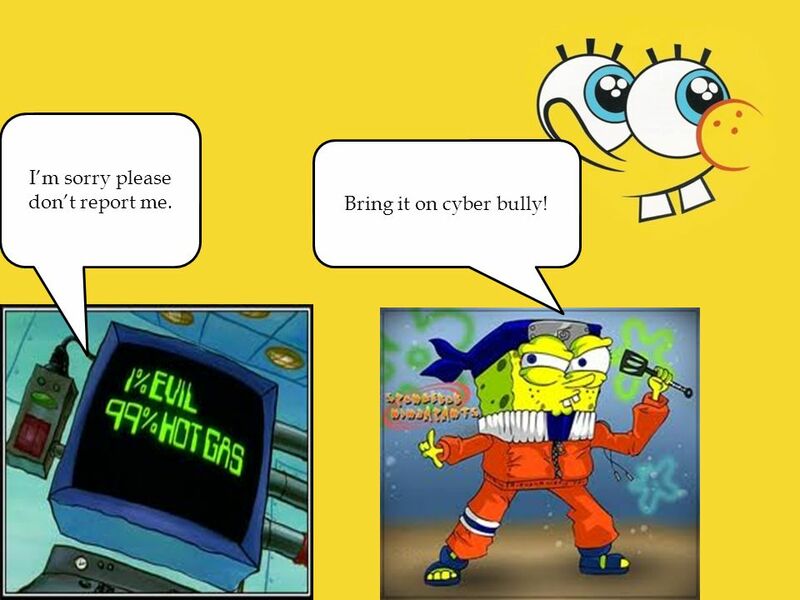 11 Bring it on cyber bully! I’m sorry please don’t report me. 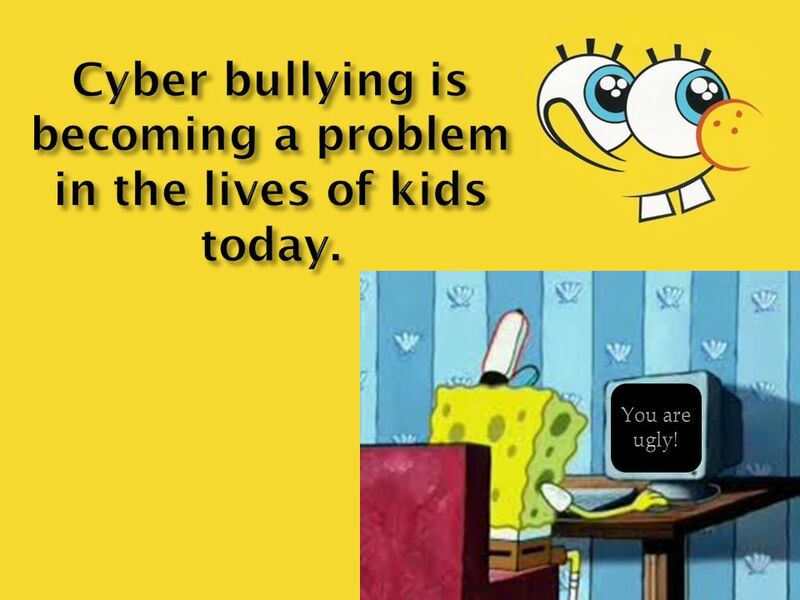 Download ppt "Cyber Bullying By: Austin Hernandez Derek Williamson and Trevor Walk." Cyber Time Fifth Grade. Personal Information Don’t share your parents’ information Don’t give your password for a website to anyone. 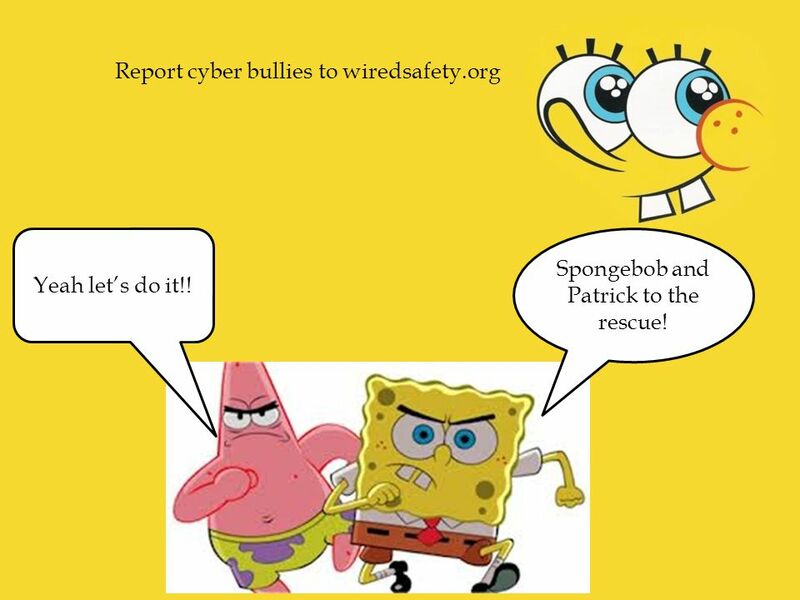 Cyber Time How to stay safe online. Kindergarten. Cyber Time 3 rd grade. Personal Information -Don’t post your , address, or your cell phone number. -Don’t share your last name online. -Don’t post. Cyber Time Kaitlyn Bergen Kindergarten. Personal Information When you are online, never post: -Your address. -Your full name. -Your phone number. By Callum Piper. If you are sent a mean text or , what do you do? Sit and cry? Or, you could tell your parents or another responsible adult you trust. A Classroom Presentation from the Members of THE G-HOUSE OF REPRESENTATIVES Say No to Bullying. Module 4: Intervention. 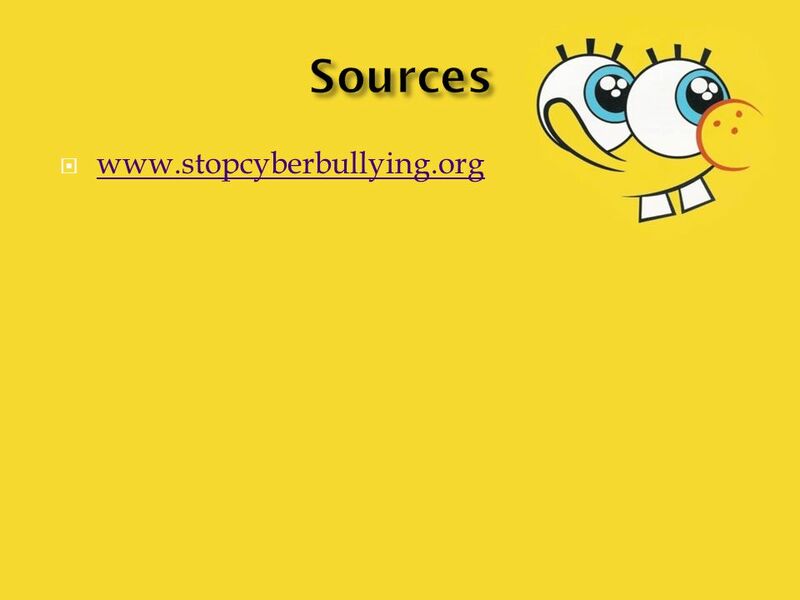 Learning outcomes of Module 4 1)Learning how to react in the case of bullying and cyber-bullying 2)Learning how to report bullying. What to do when bullying occurs. * Please hold your questions until the end of this presentation. * Please come up to us, and we can answer your questions. What Rule Is It Anyway?. 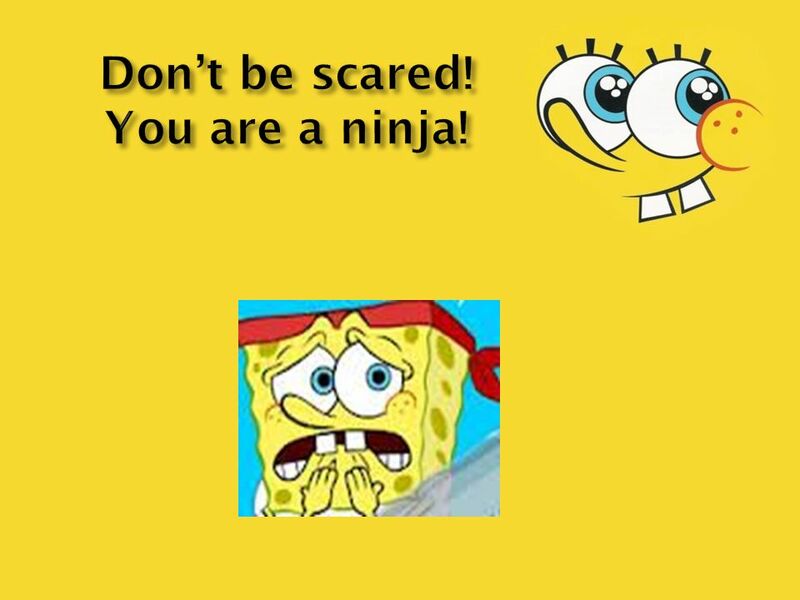 My Rules For Internet Safety 1.I will tell my trusted adult if anything makes me feel sad, scared, or confused. 2.I will ask.